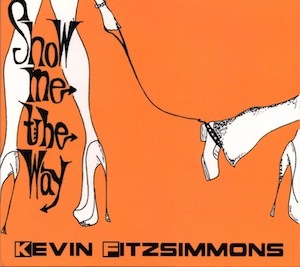 Male jazz vocalists are thin on the ground and this most promising of debuts from British vocalist Kevin Fitzsimmons is a very encouraging sign that modern jazz and male vocals are not incompatible. There is a definite nod to tradition in the voice itself which has shades of Sinatra and Mel Tormé, and Kurt Elling into the mix. However, the latter has skilfully weaved in modern elements and Fitzsimmons has cleverly incorporated electric piano, flute and big band accompaniment which is to his credit. Among the musicians flautist and leader in his own right Gareth Lochrane has been enlisted and his presence along with a host of other experienced musicians that includes Jools Holland’s saxophonist Derek Nash has added a classy level of sophistication to proceedings. The mid-tempo waltz ‘Moving’, which features a lovely bass line from Dominic Howles and the expansive flute of Lochrane, is a treat from start to finish while ‘I’ll never be the same’ may prove to be an unexpected dance-floor ditty for jazzistas to feed upon. A thoroughly modern interpretation of ‘You do something to me’ with electric piano and brass impresses greatly as does an intimate take on the ballad ‘Lush Life’ that Johnny Hartman gave a near definitive version of with John Coltrane exactly fifty years ago. Kevin Fitzsimmons is a singer with plenty of potential and his mastery of ballads will only increase with time. He excels at present on uptempo numbers and possesses a voice that can be adapted to both blues and jazz idioms and his forte and individual sound may lie somewhere between the two.